Today is the day! I am thrilled to introduce The Girl Without Magic and Maggie Trent to the world! Death would have been easier, but the Siren wasn’t through with her. Seventeen-year-old Maggie Trent fell out of a battle and into the Siren’s Realm, a land where secrets hide in the shadows and pleasure comes at a price Maggie is unwilling to pay. The time for the Siren’s reckoning has come, sweeping away all she deems unworthy to live in her realm. Those without magic are hunted by the Siren. Those with magic are hunted by the Stricken. Fighting or hiding seem necessary to survive. But there is a different way. Bertrand Wayland, unaging and unrelenting in his determination for Maggie to accept her fate, slips in and out through the stitches that bind the Siren’s Realm to other worlds, gaining magic and having glorious adventures. When Maggie follows Bertrand out of the Siren’s Realm, seeking an adventure of her own, she finds instead a world of magic on the eve of war. To save innocent lives Maggie risks her heart, her life, and her only chance of returning to the Siren’s Realm. I am thrilled Curiosity Quills Press gave me the opportunity to return to the Siren’s Realm and give Maggie Trent’s story a chance to be told. To celebrate the occasion, there is not only a Goodreads giveaway going on, but also a Rafflecopter! Click here to enter! And don’t forget to grab your copy of The Girl Without Magic! Bum ba da dum bum ba bummmmm! The news is officially official! I have signed a contract with Curiosity Quills Press for a new series! The Tale of Bryant Adams: How I Magically Messed Up My Life in Four Freakin’ Days is set to be released in summer 2017! Megan O’Russell’s THE TALE OF BRYANT ADAMS: How I Magically Messed Up My Life in Four Freakin’ Days, pitched as a tongue-in-cheek take on Harry Potter meets Neil Gaiman’s Neverwhere, in which evil shadow-cloaked monsters and mist ladies track Bryant Adams through the streets and tunnels of Manhattan all because of a magical cellphone that burned down half his school, most of a penthouse… and a trash can, until it increasingly looks like surviving the weekend might take more magic than even the pyromaniac’s dream phone can provide. I have exciting – if somewhat belated – news! 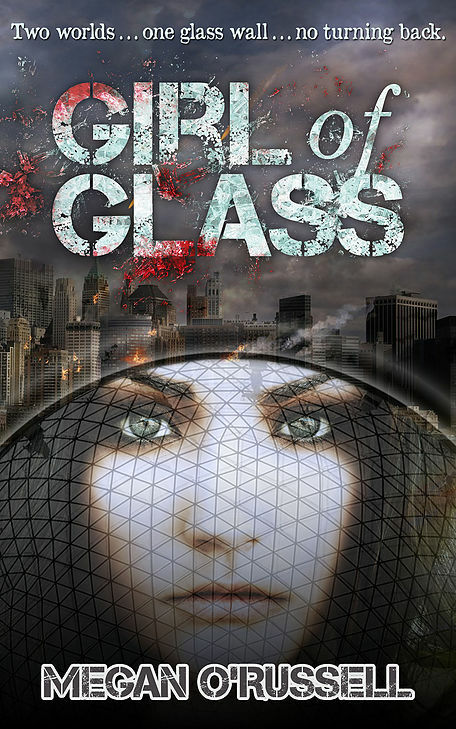 I am thrilled to introduce the cover for Girl of Glass! 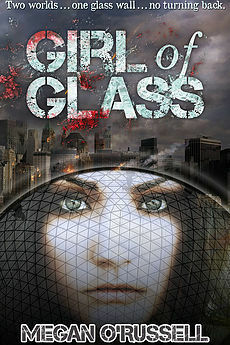 Girl of Glass will be released December 6th by Fiery Seas Publishing. In the meantime, you can add it to your Goodreads “to be read” list, or if you aren’t the Goodreads type, follow me on Twitter and/or Facebook to stay up to date on all the Girl of Glass excitement!